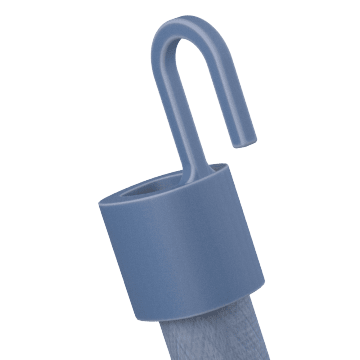 Secure tarps, lids, small doors, and other items that benefit from shock absorption during transport using these tie-down cords with an abrasion-resistant woven fabric covering, also known as bungee cords. Just stretch and fasten in place using the supplied hooks. Use these cords with wire hook ends to keep constant tension on secured items. 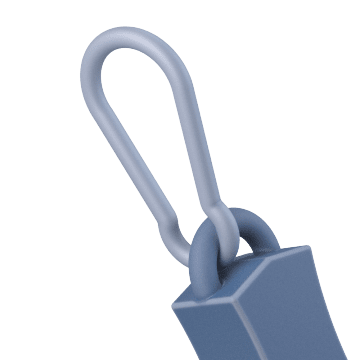 Compatible with a wide range of anchor and tie-down fittings, wire hooks are also useful for attaching to thin areas of steel, such as those on car bumpers and trailers. The hooks on these tie-down cords are coated in plastic for resistance to corrosion and weathering. These cords come with snap hooks on each end. 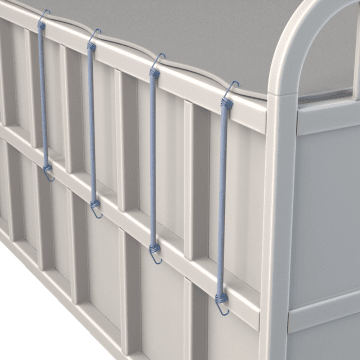 Like S-hooks, snap hooks are versatile and strong, but they also have a latch for extra security at the connection point. Attach and remove cords with ease using these cords with finger-grip hooks. The hooks have built-in finger-grip holes to aid in securing, adjusting, and removing cords. 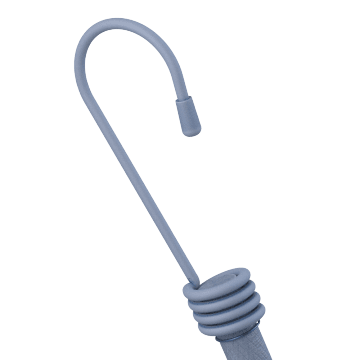 Create a custom fit for your tie-down cord using these adjustable-length cords with plastic-coated hooks. 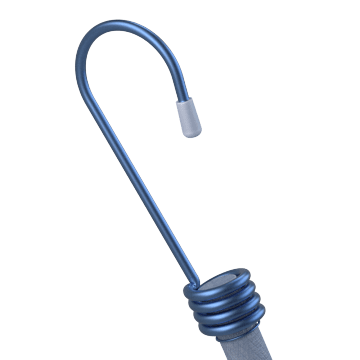 The cord turns through the hook mechanism, which grips the cord securely at the desired length. 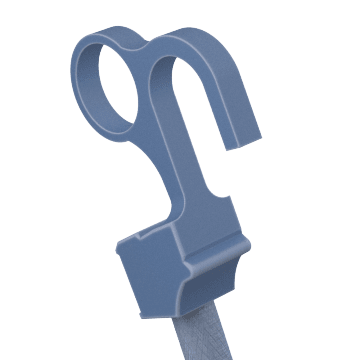 The plastic-coated hooks resist corrosion and weathering, lengthening the service life of the assembly.